Core: Shirogami 3 steel, hardened to HRC63. 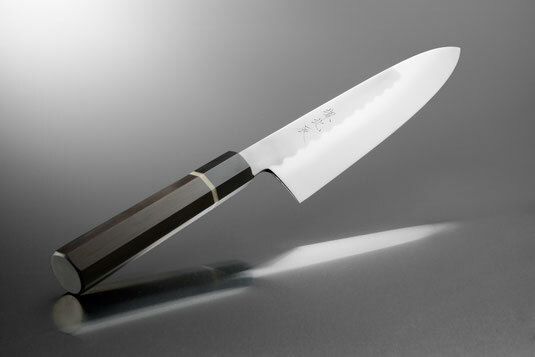 Finishing: High-end Honyaki finish by Ikeda. Quenched in oil.